ST. GEORGE — With unseasonably warm, dry fuel conditions throughout Southern Utah and beyond, fire restrictions remain in place to minimize the threat of wildfires during one of the worst wildland fire seasons across the country. Utah is experiencing high temperatures and low humidity, conditions that have placed the southwest portion of the state in an unseasonably high fire danger. There has been an unusually high number of human-caused fires throughout the state this year. As a result, fire restrictions that normally would have ended Oct. 31 have been extended through Nov. 15 in Washington, Beaver, Iron, Garfield and Kane counties, said Brian Cottam, state forester with the Utah Department of Natural Resources. The order prohibits open burning on private or public lands without a permit. This is to minimize the threat of fire from escaped debris fires, shrubs and higher grasses burning. The fire restriction order is “critical to maintaining public health, safety and welfare and economic well-being,” Cottam said. The restrictions will be in place until the fire hazard subsides. Maps and more specific information about the fire restrictions may be found on the Utah Fire Info website. 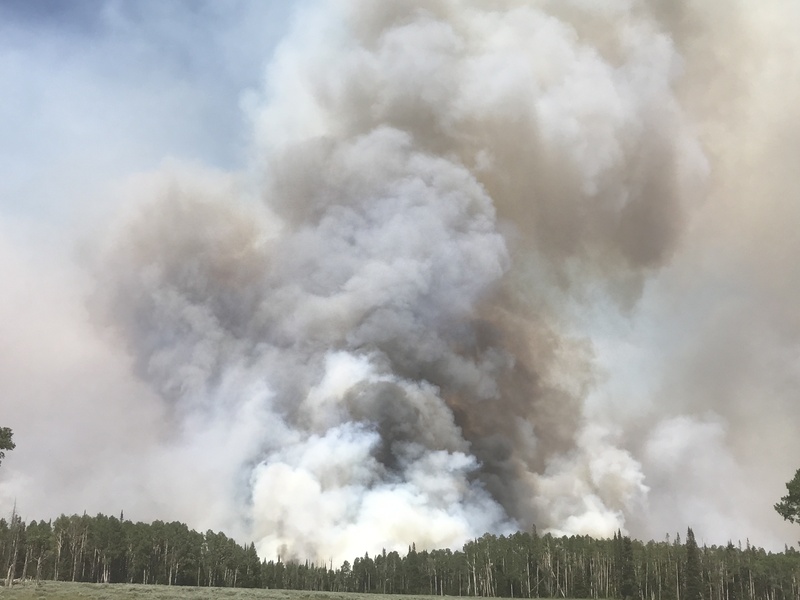 So far this year Utah has had several large fires, including the Brian Head fire, a human-caused fire that began in June and burned through more than 77,000 acres. It was the largest fire burning in the United States at the time. Since then, things have gotten worse, both nationally and internationally. Based on the current numbers, 2017 would be the seventh-worst year in terms of acres burned in the United States. That’s if every active fire in the U.S. were extinguished today, and not one more acre burned this year. The National Forest Service reported that 2017 is shaping up to be a worse-than-average fire year based on acres of federal, private and state land burned. To date, the agency reports nearly 53,000 fires have scorched more than 8.8 million acres, or 14,000 square miles, and two fires continue to burn in California, according to the National Interagency Fire Center. Internationally, massive blazes continue to burn in Canada, Russia, South America and across Europe. This year is shaping up to be the most devastating wildland fire seasons in Europe since record-keeping began, according to the European Commission’s JRC report released earlier this year. Last year saw relief from a brutal drought as heavy snow fell, allowing natural grasses to grow thick and taller. However, in spring, the weather turned hot quickly, causing the snow to melt at a faster rate. The grass died out, as did the trees at higher elevations, leaving an enormous amount of fuel for wildfires. The situation was made worse as summer lightning storms dropped less rain than normal as weather patterns kept the humidity low, Bryan Henry, of the National Interagency Fire Center, said last month. This combination was a recipe for disaster, creating a natural tinderbox in many states. Nationally, it has taken more than 27,000 firefighters backed by over 200 helicopters, 1,800 trucks and 28 air tankers dropping water and a fire-retardant slurry to battle the blazes that sprang up in multiple states. 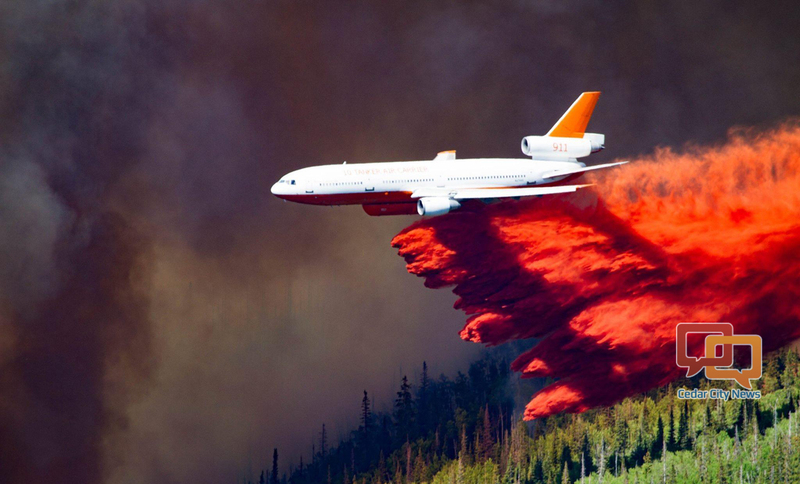 Surveillance aircraft and at least 200 active-duty soldiers joined the firefighting cause and the National Guard was called out in at least four states, including California, Montana, Oregon and Washington. Nine firefighters have lost their lives and another 35 have been injured so far this year, according to the National Wildland Fire Lessons Learned Center. U.S. Secretary of Agriculture Sonny Perdue announced in September that wildland fire suppression costs for the fiscal year have exceeded $2 billion, making 2017 the most expensive year on record. But I gotta dun burn sum stuff with ma weed torch.